At Awaken we desire to start groups in different neighborhoods with different missional targets. Our newest group is located in the Level Green area of Virginia Beach. This is a brand new group in the last month lead by Amy and David Sowers. 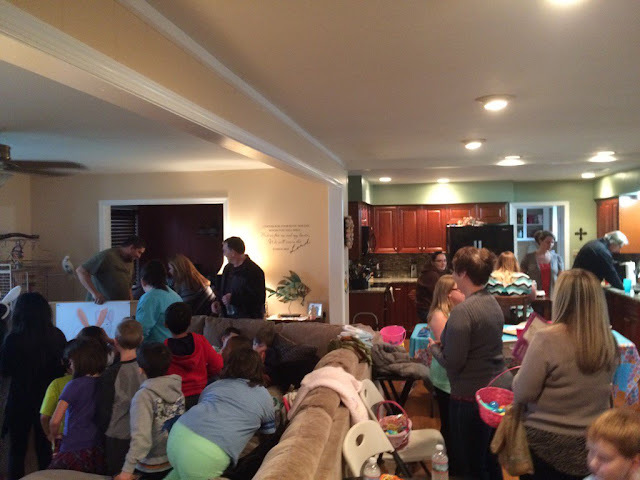 They had an Easter Party over the weekend and you can see God is blowing the roof off this new group! All the adults are hiding (haha) as some games for the kids were being played. Please continue to pray for David and Amy as well as other families that are helping lead this new mission post into a new area.